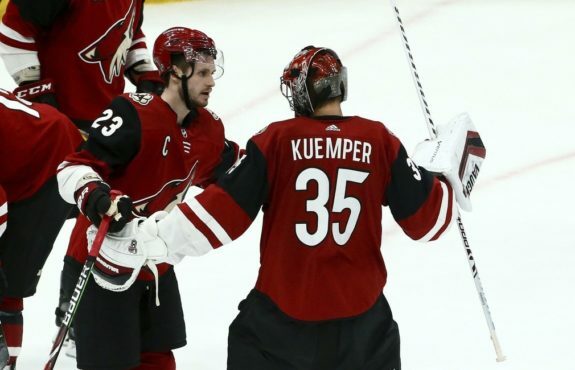 After suffering a brutal home loss to the 30th-place Los Angeles Kings on Tuesday evening in Glendale, the Arizona Coyotes are on the brink of elimination from playoff contention. After a huge 1-0 victory over the Chicago Blackhawks on home ice back on Mar. 26, the Coyotes got back to work on Friday night in Denver with their final meeting of the season with the Colorado Avalanche. As the two teams entered the game neck-and-neck in the standings, Arizona needed two points in the worst way in Colorado. However, the Avalanche took advantage of the Coyotes’ No. 1-ranked penalty kill – they scored two power-play goals to open up a 2-0 lead after 40 minutes. Things were looking grim, but Oliver Ekman-Larsson put the team on his back in Period No. 3 – he scored at 12:00 and 19:09 to send the game to overtime, where the Coyotes were unable to solve Philipp Grubauer for a third time, and lost in a shootout, 3-2. Returning back home after earning a point in the Mile High City, the Coyotes welcomed the Minnesota Wild to Gila River Arena on Sunday afternoon. The Wild entered as a desperate team – they’ve sputtered in March and found themselves on the brink of elimination entering Sunday’s matinee in Glendale. Well, Arizona wasted no time in adding to the Wild’s suffering – Alex Galchenyuk potted his 18th goal of the season early in the first period, and Josh Archibald netted his 11th on a breakaway late in the second frame to double Arizona’s lead. Archibald then iced the game with a late empty-netter before Vinnie Hinostroza scored one of his own to provide the final margin in a 4-0 Arizona victory. The Coyotes then hosted the Los Angeles Kings in the penultimate home game of the season at Gila River Arena. Arizona dominated the play for the first 39 minutes and 59.8 seconds in this one – Brad Richardson scored at 16:06 of the second period on Arizona’s 35th shot on goal, but the Kings tied the game with 0.2 seconds remaining on a Kyle Clifford deflection. What happened next will go down as one of the most brutal periods in franchise history – Trevor Lewis gave the Kings the lead just 3:29 into the third period, and, in doing so, got his stick through the mask of goaltender Darcy Kuemper and into the area around his eye. The Coyotes have already endured a brutal Michael Grabner eye injury this season, and the sight of Kuemper, who has carried the Coyotes for the entire second half of the season, calling for the trainer while writhing in pain on the ice, brought back bad memories for everyone in the building. 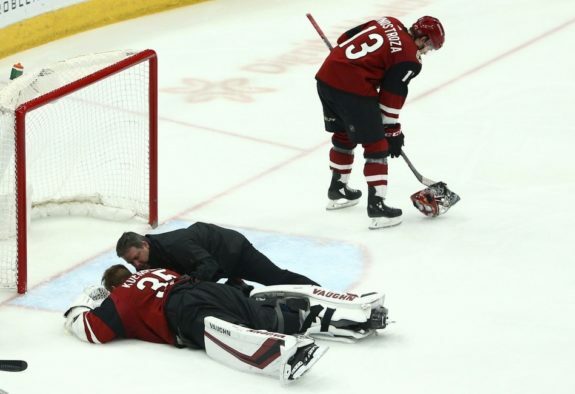 Calvin Pickard entered the game for Arizona, and, while he played well in limited action, the shaken Coyotes could not solve Jack Campbell at the other end. The Los Angeles netminder stopped 49 of 50 shots on the night, and Drew Doughty added an empty-netter to ice the game for the Kings and effectively end any chance of a Coyotes postseason berth. As of this writing, they’re four points behind Colorado with two games to play. If the Coyotes lose in any fashion, or Colorado earns a single point, Arizona is golfing for the seventh consecutive postseason. With a devastating loss to the Kings in the books, the Coyotes will head up to Las Vegas for their final road game of the season against the Golden Knights. T-Mobile Arena has been one of the toughest places to play since the Knights began competing in 2017, but the Coyotes have won in their last two visits to “The Fortress” – they picked up a 3-2 victory late last season, and they earned a 5-2 triumph back on Feb. 12 in their other visit in 2018-19. They’ll absolutely need a victory here if they wish to keep their slim playoff hopes alive – puck drop is scheduled for 7:00 P.M. in the Silver State. 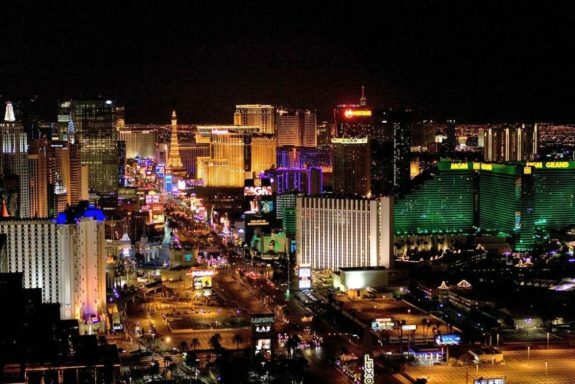 After a night out in Sin City, the ‘Yotes will return home to Gila River Arena for Game No. 82, when the Winnipeg Jets come to town. As always, the Coyotes will be celebrating Fan Appreciation Night out at the rink, but, for the first time in seven years, there’s a chance, albeit an extremely slim one, that this won’t actually be the last game of the season. Will this be the grand finale, or will it be an appetizer prior to the return of the Whiteout? Puck drop is at 7:00 P.M. in Glendale. The Pacific Division belongs to the Calgary Flames for the first time since the 2005-06 season. We know our second and third-place finishers, too – the San Jose Sharks will host the Vegas Golden Knights when the Stanley Cup playoffs begin next week. The rest? Well, I think it’s safe to say the Pacific will be a three-bid division this year. Analysis: The Ducks suffered a 6-1 blowout loss at the hands of the Flames on Friday night at the Saddledome, but they rebounded with a 5-1 victory over the Edmonton Oilers on Saturday at Rogers Place. If that doesn’t sum up the Alberta teams this season, I don’t know what does. 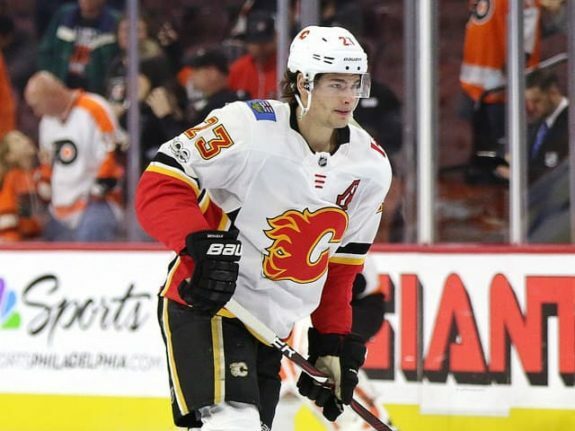 Analysis: The Flames are far and away the best team in the Western Conference this season, and they’ve earned home-ice advantage through the first three rounds of the playoffs as a result. Their 26-9-5 record in the friendly confines of the Saddledome is one of the best marks in the league – only the Tampa Bay Lightning, Boston Bruins, and Flames have fewer than 10 home regulation defeats this season. Analysis: The Most Inconsistent Team in the NHL™ rolled over and played dead last week – the Oilers lost four straight and weren’t really competitive in any of the three regulation defeats. Despite outstanding seasons from both Connor McDavid and Leon Draisaitl, there will be early golf in Edmonton for the 12th time in the last 13 seasons. 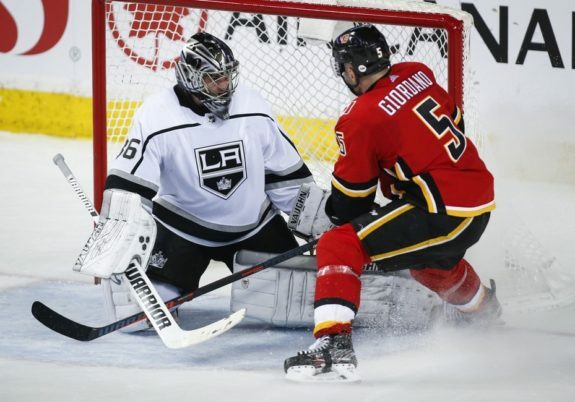 Analysis: It was a big week for the Kings – they picked up wins over two Western Conference playoff hopefuls and they didn’t pass anyone in the standings, either. They’d hold the second-best odds of landing the No. 1 pick if the season ended today. Analysis: The Sharks, 1-8-1 in their last 10, are sputtering at the wrong time. This team can’t keep pucks out of their own net – not exactly where you want to be with a postseason meeting with Vegas looming on the horizon. One could make an argument that Martin Jones has been the worst full-time starter in the NHL this season – will he find his game in the playoffs? 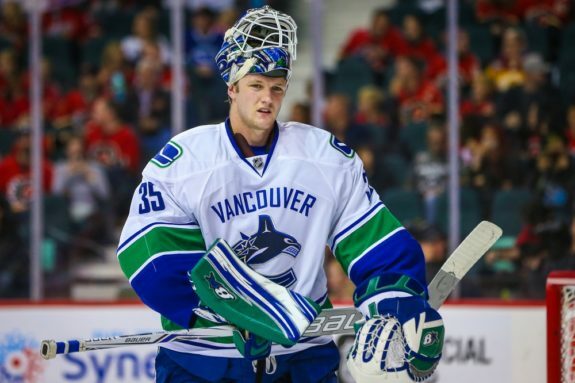 Analysis: The Canucks continued their solid finish to the season last week – they picked up three straight wins and have a chance to play spoiler as they’ll finish the season with two road games against Central Division playoff hopefuls. Analysis: The Golden Knights are locked into the No. 3 seed in the Pacific, and, as such, haven’t been in a rush to get Marc-Andre Fleury back into the lineup. The veteran will return for the first game of the Stanley Cup playoffs, though – you can bet on that. Analysis: If you’re on the outside of the top-eight and are trying to make the playoffs, go on a long point streak. 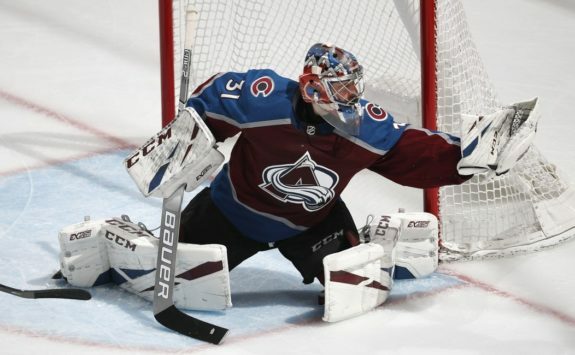 It worked for the St. Louis Blues, and it’s worked for the Avalanche – they’re 7-0-2 in their last nine games and are just a single point or any Coyotes loss away from clinching a spot in the Stanley Cup playoffs.